The English translation was prepared by a team of scholars and edited by G. W. Bromiley and T. F. Torrance and published from 1936. A team of scholars at Princeton Theological Seminary have now provided the translation of Greek, Latin, Hebrew and French passages into English. The original is presented alongside the English translation. This makes the work more reader friendly and accessible to the growing number of students who do not have a working knowledge of the ancient languages. This new edition with translations is now available for the first time in individual volumes. Karl Barth was described by Pope Pius XII as the most important theologian since Thomas Aquinas, the Swiss Pastor and Theologian, and Barth continues to be a major influence on students, scholars and preachers. Barth's theology found its expression mainly through his closely reasoned fourteen part magnum opus, Die Kirchliche Dogmatik. 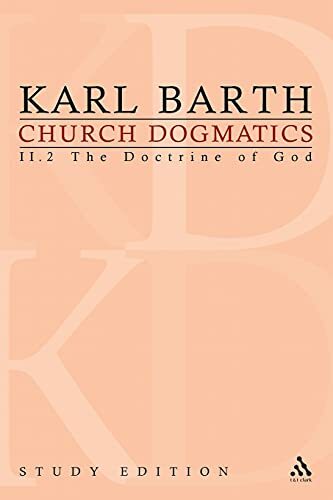 Having taken over 30 years to write, the Church Dogmatics is regarded as one of the most important theological works of all time, and represents the pinnacle of Barth's achievements as a theologian.